I remember the very first time I saw a snow flake. I remember it because I was in my twenties and growing up in South Africa meant that snow wasn't exactly forthcoming. It was a last minute work trip to Colorado, USA and it was the first day of summer, 2010. High up in the Rockies, I caught my very first snow flake and examined it with glee and curiosity of a small child. That feeling that has never left me. 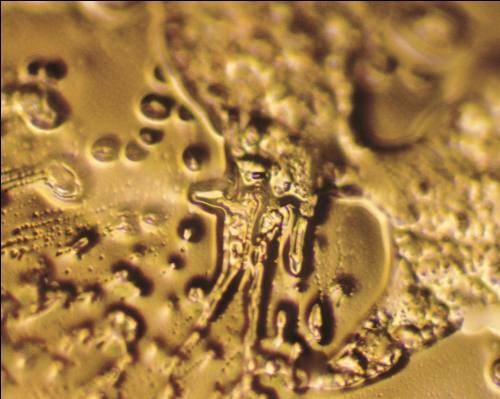 Recently, I came across some photographs of frozen water particles that resembled snow flakes. 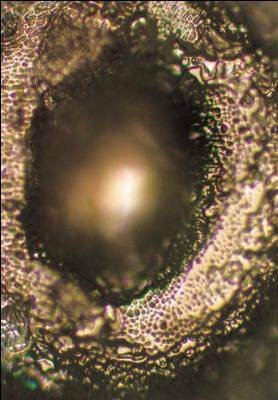 I remember seeing these images several years ago and reading the tag lines about how these water particles had been subjected to positive thoughts, but it wasn't until researching for this issue - From the Water's Depth - that I really began to delve into the theory of HADO. In 1994, Dr Masaru Emoto, a Japanese researcher decided to do a study of frozen water from different sources. Surely, if the atmosphere could freeze water particles to form magical snow flakes, so too could man? 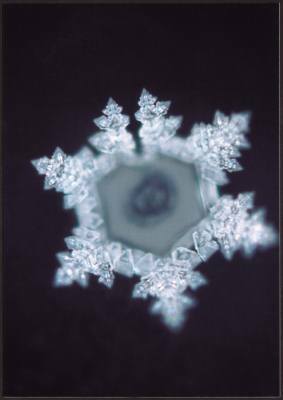 After two months of trial and error, Emoto and his team discovered the perfect conditions to freeze water so that it formed crystal flakes, but the more interesting discovery was which kinds of water formed the flakes! They took water samples from tap water, various rivers and lakes. The tap water yielded nothing. No perfectly formed hexagonal crystals resembling a unique snow flake. Water from lakes and rivers near bustling cities didn't produce anything to write home about either. It was the untainted water's from high up in the mountains, the water still rooted in nature, that was the water that produced beautiful flakes. Using double distilled water, scientifically considered as pure, they quite literally taped printed out words onto the glass bottles. Samples were extracted from the bottles and then frozen. Low and behold, the samples exposed to positive words, produced beautiful "snow flakes", while those exposed to angry, hateful or negative words, produced something completely different. To further test this theory of how beauty creates beauty, Emoto and his team exposed water to images (photographs), music and prayer. All four variation of exposure produced the same results. You can see them here. Dr Emoto took his findings and opened a school to teach the principals of HADO. The word itself has taken on a life of its own apparently (a bit like saying "google" to search for something I guess) and it is used across Japan to describe the energy or a person, space or environment. Could something as simple as 'positive intention' be the answer to mending this broken world? It's certainly easy enough to incorporate into my daily life and worth trying out.